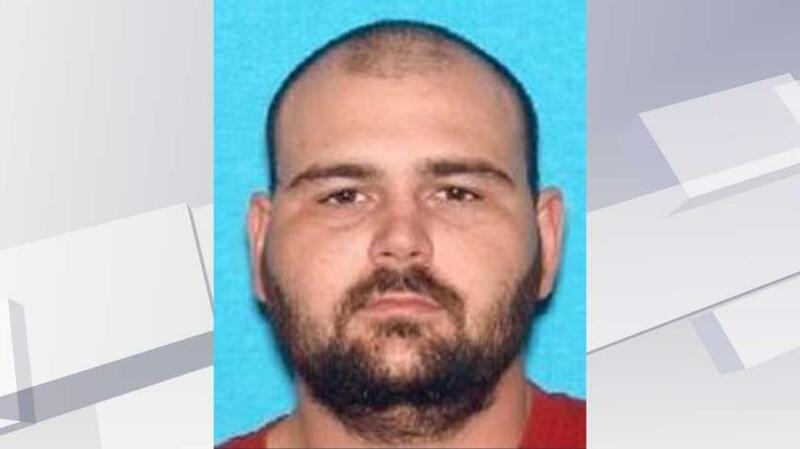 DICKSON, Tenn. -- A manhunt is underway in central Tennessee after a deputy was shot and killed Wednesday morning, reports CBS affiliate WTVF. The incident happened in Dickson County, west of Nashville. Officials are searching for an armed man in the area of Bear Creek Valley Road and Tidwell Switch Road, the station reports. Tennessee Bureau of Investigation spokesperson Susan Niland said investigators used video surveillance to identify 31-year-old Steven Joshua Wiggins as the person being sought in the case. Officials confirmed a neighbor reported seeing a suspicious vehicle around 7 a.m. Wednesday and a Dickson County deputy responded, Niland said. After a period of time, there was no contact with the deputy which prompted officials to track his patrol car using GPS navigation. An officer with another agency found the deputy's car about two to three miles away, Niland said. The deputy was found dead inside. He was later identified as Sgt. Daniel Scott Baker. A female is currently being interviewed, Niland said. The Tennessee Bureau of Investigation tweeted Wednesday that it has placed Wiggins on its Top 10 Most Wanted list and is offering a reward of up to $2,500 for information leading to his arrest. The agency also has sent an alert to cellphones in the area. Dickson County Sheriff Jeff Bledsoe cried as he asked the community for help in locating Wiggins, saying "our hearts are shattered with this." Bledsoe described the slain deputy as "one of our best" who worked his way up in the department to become a patrol sergeant. Bledsoe said Baker was a 10-year veteran of the department who also served in the Marine Corps Reserve. He said the deputy leaves behind a wife and a daughter. Speaking of Wiggins, Bledsoe said, "It is my prayer to God that our court will be a terror to him on the punishment he receives." He urged Wiggins to turn himself in. On Tuesday, Wiggins was charged with aggravated assault and vehicle theft in Kingston Springs, the station reports. According to a police report, officers were called to a home after a woman was assaulted. Wiggins allegedly slapped the victim and pulled out her hair before saying he would kill her if she called police. He then fled in her car, the report said. The victim said he'd been "doing meth all night" and smoking marijuana, the station reports. The Tennessee Bureau of Investigation said he should be considered armed and dangerous, and urged anyone who sees him to call 911.